The fulfillment of obligations under the OPEC+ agreement is not yet 100 percent, but the implementation process can be considered satisfactory. Azerbaijani Energy Minister Parviz Shahbazov made the remarks at the OPEC meeting in Algiers. Shahbazov stressed that the obligations of the OPEC+ countries were fulfilled in July by 109 percent, and in August - by 129 percent. These figures are a significant achievement for balancing the market compared to the May figures. The general opinion of the OPEC+ countries is that the current approach to increasing production volumes will help to maintain the achieved results by the end of the year. 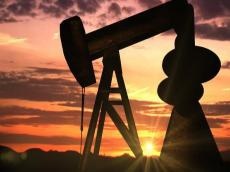 At the 10th meeting of the Joint OPEC-Non-OPEC Ministerial Monitoring Committee (JMMC) ministers in Algiers, the Joint Technical Commission for Oil Production was presented in August and the OPEC report on the trends in the development of the world oil market was heard. Also, the level of implementation and the impact on the market of the decision to increase the daily oil production by one million barrels taken at the 4th meeting of the ministers of the countries that are members and not members of the OPEC was assessed on June 23, 2018. At the current meeting, the importance of coordinated actions and continuous regulation for the full implementation of commitments under the June agreement was stressed.